Cole has recently taken an interest in animals. 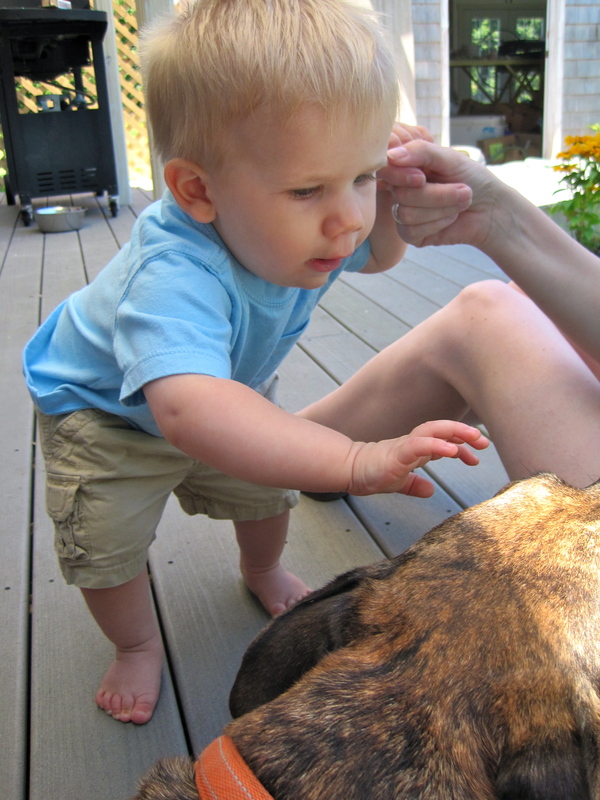 Just before his first birthday he met his cousin Oliver’s dog Ketzel, probably one of the nicest dogs I’ve ever met. He seemed rather scared by him. This was only a short while later and Cole couldn’t seem to get enough of Leroy. Even after being slobber kissed all over his face, Cole kept reaching out, calling “dou, dou!” I find his new interest in everything and his perseverance at discovery inspiring.